As a website design company we ask two simple questions...Why spend your time and energy studying web design when you can use the time on other projects? Why depend on a friend or relative that will get to it when they can? Your website is a 24 hour a day, 7 day a week representative for your business. Empower it to do the best job it can to motivate your prospects to work with you while reinforcing to your existing clients that they have made the right choice! So why struggle trying to create your own website when we can do it for you at an affordable cost? We are web coaches who will team up with you to de-mystify the process. If you are serious about your business & you want your customers to have access to your business 24 hours a day, 7 days a week, 365 days a year, then you need a website! A website lends credibility to your business and creates a professional image without the cost of printing a large volume of brochures. A website can be changed easily once the design is in place so that as your business changes so can your website. The World Wide Web allows the entrepreneur to compete on the same level as large corporations. Of course you can, but do you have the time? A professional website conveys the message that you are serious about your business and your customers! Your website is very often the first exposure that a potential client will have to your business, be certain that it conveys the right image. As business owners - would you rather have your staff spending hours learning how to update your website and learning programming languages - or would you rather email those changes to a reliable developer who will get your updates posted ASAP? Now you and your staff can focus on your core business and hand off your website updates to a partner who is reliable and professional. How quickly your website requires updates will depend on the individual client. It is not uncommon for small updates to be taken care of immediately when received. What is a web coach? A web coach guides you through the process of developing your web identity one step at a time, so that the process isn't overwhelming. A domain name is your internet address on the World Wide Web and just like the mailing address for your business, it uniquely identifies you enabling your customers to find you. Where do I get my own Domain Name? There are a number of sources where you can purchase a Domain Name? We can reserve your domain for you. How do I choose a host? It is important when choosing a Web host that they be reliable, established and monitored 24 hours a day, 7 days a week. We will take care of that for you so you do not have to worry about it. That depends on many factors that include the complexity of your website, the number of links both internal & external and the size of your website. Our Starter Package is just $850 and includes a 5 page website search engine optimized, domain registration, domain hosting and submitted to over 300 search engines. Contact us using the link below, tell us about your project and we will contact you about your website right away. Let us take the mystery out of finding your unique web identity. We custom design websites because your presence on the web should be as unique as you and your business. Need more? We will create a custom quote to fit your needs. What are you waiting for? Call or contact us today! Some businesses build websites....our services help build businesses! From complete web sites to a simple home page, we can help. Our business-driven approach separates us from other web design companies. We are low cost and always have your business in mind. It is always good to shop around but we can tell you this....you can’t tell by looking at someone’s prices the level of service they provide. Search engine submissions for your site can be arranged and we submit to 300 Search Engines. For our Price structure click here. Lets play a card game and see if I can read your mind via the internet? We offer a Very Generous Discount to Non-Profit Organizations! Attention Veterans and U.S. Military Personnel! Get a great deal on a web site! Contact us for a quote. 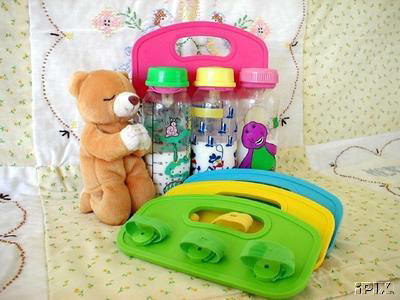 Baby Six Pack is distributed by Toddlers International and AnnaMaries Gifts in affiliation with G & E Web Design. If you have any questions you may e-mail us using this link.